Kitten Squad: When You Gaze Into the Abyss, the Abyss Gazes Back at You. That’s not the title of the game, but on some strangely cosmic Lovecraftian level, comparing playing Kitten Squad to the feeling of soul-sucking emptiness seems like a reasonable perspective. Like many modern games, this is not just a game. Kitten Squad, created by PETA, is a political statement. So to show it the respect it doesn’t deserve, we’ll have to look at the gameplay, the story, and some of its politics. Not too long ago, PETA’s employees from the Norfolk, VA, shelter stole a little girl’s healthy young dog and illegally euthanized it the same day. The pet was off the leash in a trailer park in a small rural village. PETA has continuously claimed their shelters are for animals of last resort. PETA lies. That’s who the game is created for, and that’s the kind of game they made. The main story is simple and quite stupid. 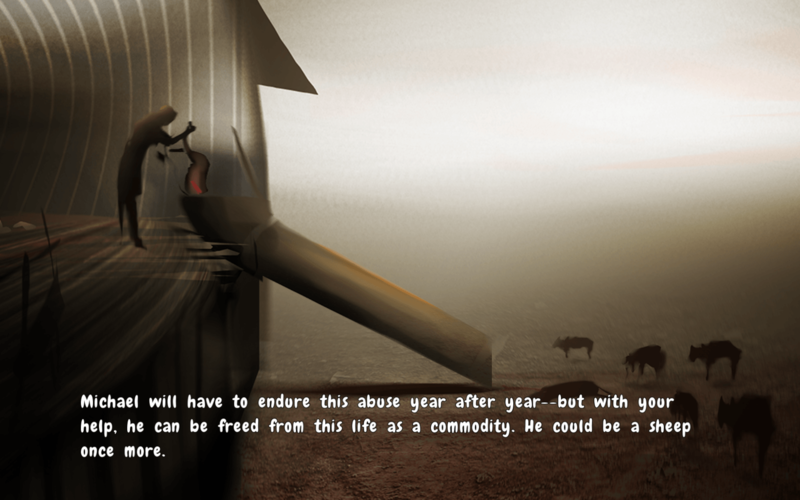 According to the game, sadistic robots and some jerk known as Sheep Puncher have been kidnapping animals–simple enough. You play as a kitten, an elephant or some other creature and you play the role of savior. 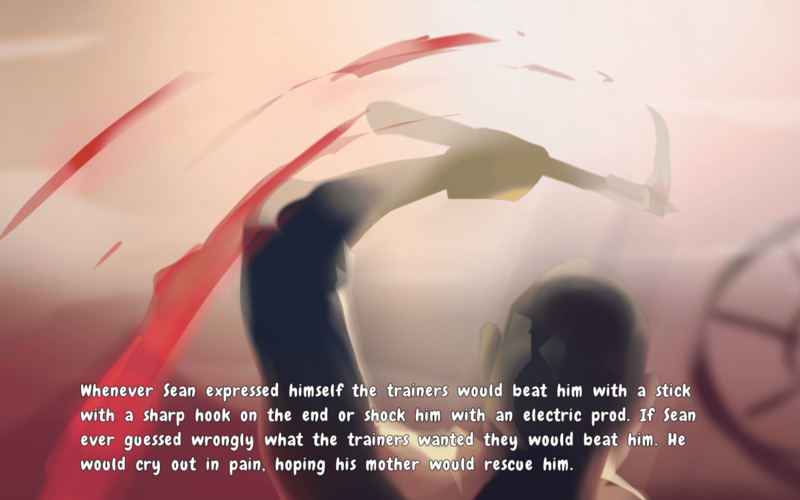 It’s a strange game, because every cutscene I watched, didn’t involve robots. The robots, while decently designed, feel out of place. 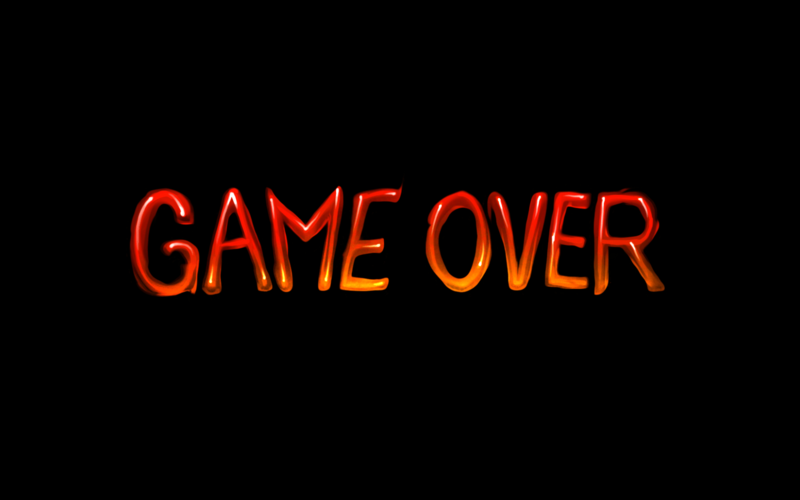 My theory is that the game aimed to be “E” rated for children – so killing people was forbidden. As soon as you kill people, there’s a good chance your rating is going to go up. Whatever PETA’s goal with this game, in almost every way, it failed. The graphics are not completely terrible. A cartoon kitten looks like a cartoon kitten. 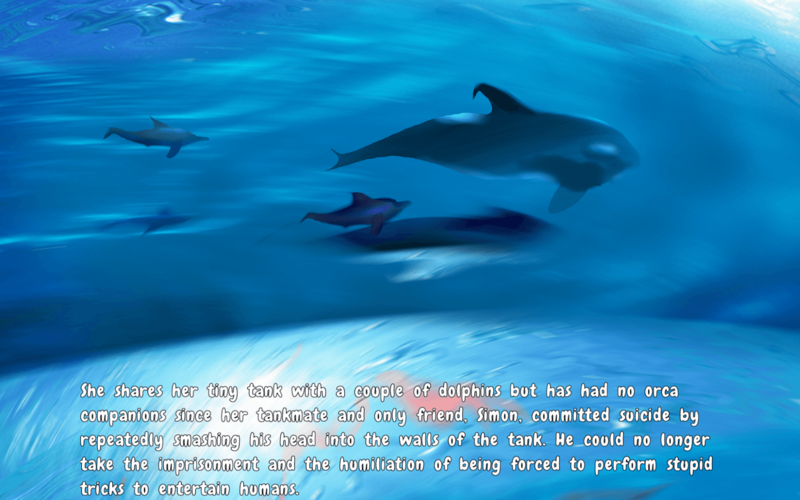 And the cutscenes, which talk about animals as if they have the same sentience as people, showcases PETA’s main goal. The animals have names like “Michael” (which I’m not happy about and which confuses me: why would animals name themselves after people). In the scenes, there’s a discussion of forced pregnancy, suicide, and various other horrific things. As far as the goal of horrifying players goes, in my case, they are just preaching to the rather annoyed choir. I already sob during Disney films. Making me feel bad for fictional creatures, and feeling guilty every-time I eat a hot dog, is not a huge accomplishment. Getting its inspiration from games like the original Legend of Zelda, and the Binding of Isaac, it has room-to-room fighting. However, the backgrounds drop the ball by utter blandness. On a small screen laptop or a large screen TV, the rooms looked so much the same, I couldn’t tell whether I was just entering a room or leaving it behind; at times I had so much trouble, that I’d accidentally end up where I started. The sound is awful. Of all the things I dislike about this game, the LogicPro X collection of orchestral samples, each about 30 seconds long, cuts off suddenly and repeats over and over and over again. It’s unbearable. On the Switch, there’s no way to turn off the music. No menu option, nothing. The music isn’t horrible theoretically. If I heard the same song once or twice, I’d be fine with it. But soon it starts to feel like some form of sound torture from which there’s no escape. I encourage the CIA to study this game. The controls themselves are simple enough. Kitten Squad is a top-down action shooter. So a mouse or trackpad works, kind of, on computers. On Switch it’s the left and right analog sticks. WASD and a mouse is basically all you need for Kitten Squad. It’s little different than most of these kinds of shooters, except surprisingly harder than I expected. The trackpad version is atrocious, having to move around with the kitten to aim properly. Theoretically, a Gamepad Pro on the Wii should do the trick. But no matter what you play it on, and you can play it on just about anything, it is a terribly controlled game. There is a really bad control and graphics problem. It is hard to tell where the walls end and where the character stops. There’s an invisible layer that holds the controlled characters in a place, and should you fail to remember it, you can’t escape. Also, I cannot tell you whether the rooms themselves are procedurally generated or not, since things quickly all become the same. The enemy AI is bad. Getting stuck in various places constantly, moving at times seemingly aimlessly, and most of them not able to shoot at angles. They do have one talent: to surround you and kill you, with no escape. 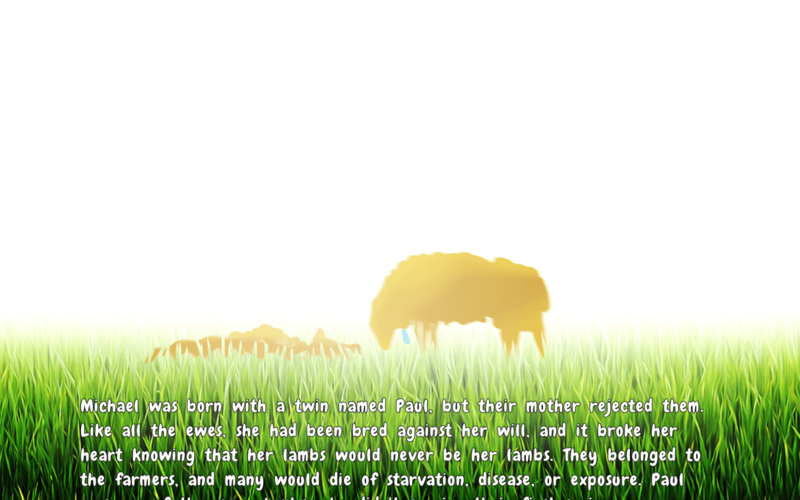 And like the Binding of Isaac, once you’re killed in a mission, you start all over from the start point. Although, it’s not quite as bad as the Binding of Isaac, in that the game is divided into separate missions, so not all your progress disappears. The only thing decent about this Teen-Rated game that wanted to be an E rated one is the character designs. They are not bad but are so poorly animated that you can’t tell what you’re doing until after you do it. 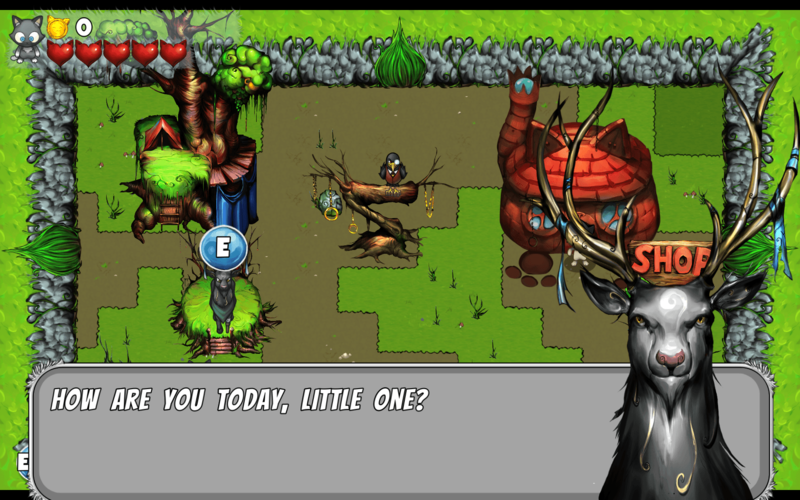 PETA wants to get children to play their game, gross them out, and horrify them. The problem with that is that it is so terrible, I can’t imagine anyone, even a child, playing it for more than an hour. The game was made by people who seem to hate people, and it shows. It’s not the worst game ever made, and that’s the highest praise I have for it. If you have a child you hate, who has never played a video game, and you want them never to play another, you can start them here and ruin their lives in advance. Yes, the game is a successful form of torture. At one point, this was the most downloaded game on the Switch. Why? Masochism? 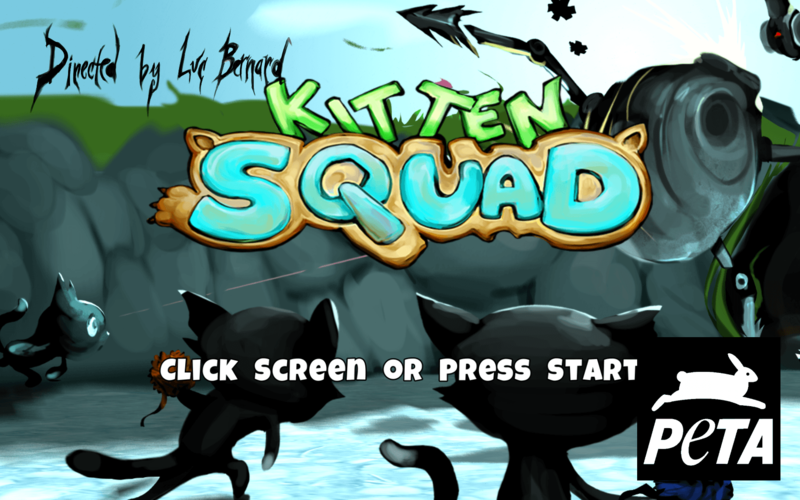 Kitten Squad, unlike the animals at PETA’s super-kill shelters, where up to 90% of pets are euthanized, is a game you’ll want to put down. You will be on your deathbed as the sands of time finally run out, and you will remember that you spent some of that time playing this.